Record Attendance and Sold Out Cinemas For The Amazing Spider-Man 2 in 4DX!! VOX Cinemas’ most immersive and interactive movie-going experience, VOX 4DX, saw record attendance selling out its 124 capacity theatre halls throughout the opening weekend for The Amazing Spider-Man 2. The film, which stars Andrew Garfield and Emma Stone, is one of the year’s hottest blockbusters and movie-goers across the UAE couldn’t wait to see it in the most absolute way possible, in VOX 4DX. VOX 4DX is available in City Centre Mirdif and City Centre Deira and both locations saw record occupancy with most screenings selling out right from the early 10am sessions. Mirdif had a 93% occupancy rate and Deira had over 81% occupancy throughout the weekend’s screenings of the film. The most savvy cinema goers purchased tickets in advance online on the run up to the opening weekend to ensure they reserved their favorite seats. 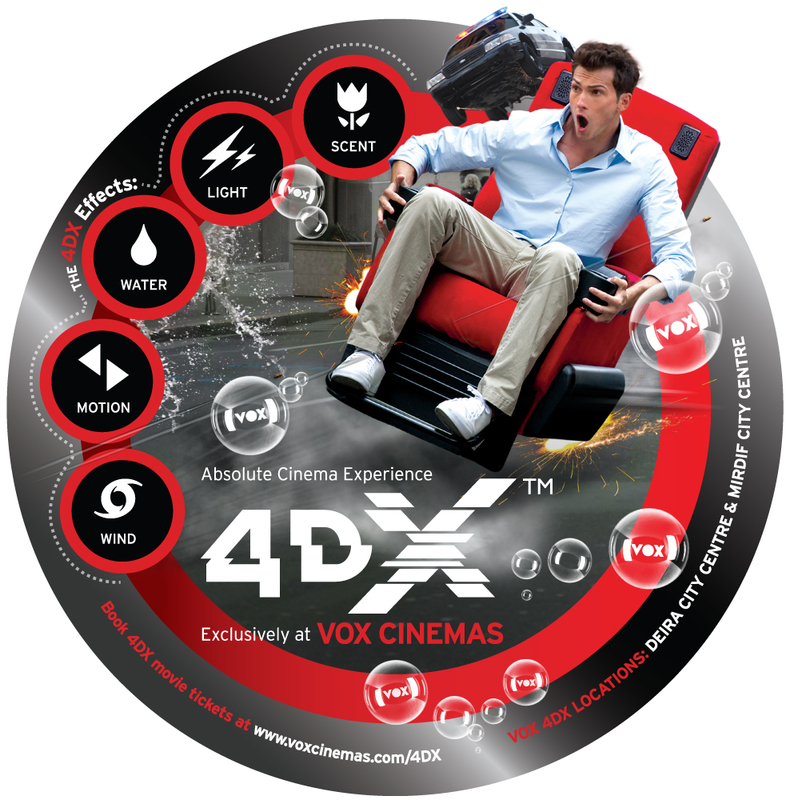 4DX technology is exclusive to VOX Cinemas in the Middle East and is the most engaging way to watch the latest blockbusters and perfect for high-action films such as The Amazing Spider-Man 2.